As Spring turns into Summer your thoughts turn to spending time outside around your home, whether sitting in the backyard, hanging by the pool or planting flowers and other plants you will see various insects around your home. We offer some of our expertise and insight into what to look for to help you determine if you have a pest control problem. Top Quality Exterminating is a family-owned Long Island exterminator and pest control company servicing Long Island and Queens since 1987. This is our new blog to help you determine whether your residence or commercial property has a pest control problem that requires a licensed pest control technician like Top Quality Exterminating. If you notice any of these signs of a pest infestation around your home, residence or commercial property contact a licensed and certified pest control technician such as Top Quality Exterminating. Termites: As the weather becomes warmer, termites become more active and begin to swarm looking to multiply and prepare the next generation of King and Queen termites. Mature termites will burst from their colonies in large swarms of flying termites in search of a new home to begin a new colony. Noticing discarded wings from termite swarmers, cracked or bubbling paint or termite droppings and termite mud tubes on exterior walls and crawl spaces around the home are some signs to look for when inspecting your residential property for termite damage. Learn more about termites here and the subterranean termite here which is the most prevalent termite on Long Island and Queens, NY. Carpenter Ants:: While termites consume dead, damp wood, carpenter ants build nests for their colonies and can cause extensive damage to wood used in the construction of buildings. Carpenter ants and termites are both skilled at hiding their infest">ation within a home and only a skilled pest control technician like the Top Quality Exterminating staff have the experience and knowledge to notice the signs of an infestation and apply the proper insecticides to eliminate carpenter ants from your home or commercial property. Bees & Wasps: These insects are actually beneficial but due to their ability to sting they are considered pests. Having a wasp or bee infestation around your home or property can disrupt your daily life and put you and your loved ones in danger. If you or a family member are allergic to bee, wasp or hornet stings the reaction might be serious enough to warrant a trip to the emergency room. Attempting to exterminate a bee or wasp nest on your own can be difficult and even dangerous, therefore it is important to contact a qualified pest control technician such as Top Qualitty Exterminating to properly exterminate these insects effectively and safely. Mosquitoes: These insects breed in stagnant or standing water and during the warmer months mosquitoes swarm at outdoor activities and events, becoming an incredible nuisnace. Worldwide, more than one million people yearly have died or been infected by a disease transmitted by mosquitoes such as West Nile Virus and Malaria. Flies: Typically considered a nusiance, flies exist in all regions of the United States and the world wherever food is prepared and garbage accumulates. 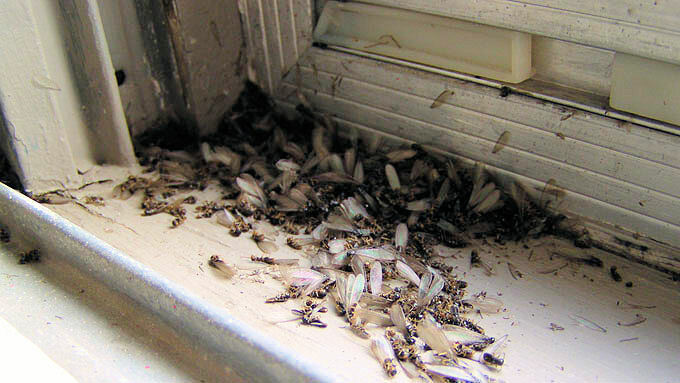 All flies can become nuisance pests and have the potential to spread diseases such as food poisoning and dysentery. Ants: Ant infestation is the most commonly reported pest problem in the country and can be difficult to control by yourself, using a qualified pest control service such as Top Quality exterminating can help eradicate all types of ants. Top Quality Exterminating ia a full service, family owned Pest Elimination company serving Nassau, Suffolk and Queens Counties. We offer environmentally friendly pest control solutions across Long Island and Queens for over 24 years and is well respected and experienced in our area, providing industry leading pest control service at competitive and affordable prices. Top Quality Exterminating is dedicated to protecting your interests with the latest pest control technology. Top Quality Exterminating specializes in Residential and Commercial pest control including termite treatment control, wildlife management and trapping, ant extermination, bee and wasp nest removal and other pest control services at affordable prices. Complete our online form now for your free no obligation inspection and quote or call us at 631-225-5667 in Suffolk County, 516-333-7570 in Nassau County or 718-347-4070 in Queens, NY. 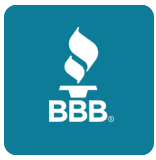 We are qualified to provide you with VA, FHA and conventional mortgage pest control inspection certificates.